This paper will discuss ways in which the United States will or may be forced to relate to Eurasia under conditions of post-post-cold war multipolarity and the passing of illusions about liberal hegemony and an American-dominated liberal international order. 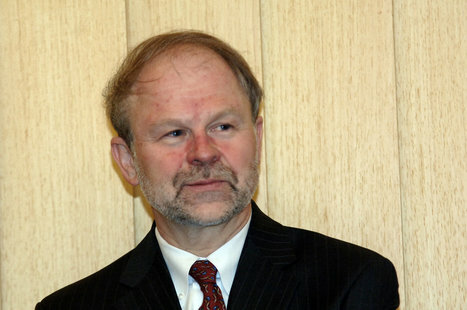 The paper will reflect on past historical experience, ranging from classic American continentalism to the redefinition by Mahan, Spykman, and others of the United States as an "island" in relation to Eurasia, to U.S. interventions in the two world wars and debates during the cold war about the level of U.S. engagement required to maintain a balance of power in Eurasia. The paper will conclude with speculations about the future of the "illiberal liberal international order" and what it means for U.S. interests. ​John Van Oudenaren is director of Scholarly and Educational Programs at the Library of Congress and acting director of the World Digital Library (www.wdl.org). Prior to joining the Library in 1996, he was a senior researcher at RAND in Santa Monica, California and director of RAND's European office in Delft, the Netherlands. He received his Ph.D. in Political Science from the Massachusetts Institute of Technology and his A.B. in Germanic Languages and Literature from Princeton University.